Pamalican is a small island of the Cuyo island group in the Sulu Sea, between Palawan and Panay, in the north part of the Palawan province of the Philippines. 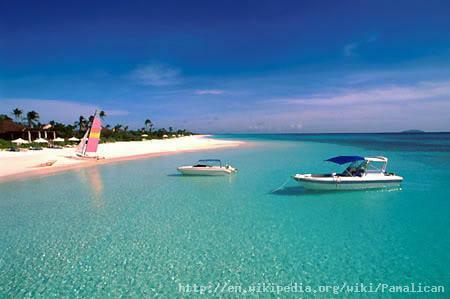 The island is set in the middle of a 7 square-kilometer coral reef. It has a length of 2.5 kilometers, and measures only 500 meters at its widest point. The island was originally exploited as a struggling family-owned plantation. It was then purchased by Andres Soriano Jr., a successful businessman. His children then decided to build a resort on the island and leased the management responsibility to establish an exclusive resort. The island is private property and belongs in totality to 7 Seas Resort (owned by the Sorianos). It is part of the high-end resort group, Amanresorts, under the name Amanpulo.